AHHHHH! its the best day ever!!! Me and Alison and Madison and Maddy met up with one of the new freshman today, Haley to run before weights. She is so so nice and sweet and i like her so much! and everyone is finally coming back!! I also got new running shoes!!! Also me and alison and christian and nate went to pastry pub for lunch and it was delicious. also we played scum and i finally dethrowned nate!!! On a more solemn note, one of the supposed to be new freshman got in a car accident on thursday and she passed away. Its so sad to me that that happened literally like 2 days before moving. 6 miles on dikes. My body was tired today, we went about the same pace as normal it just felt so fast today. at the end i just kinda went on my own and chilled. AM- today was the road race. I couldnt sleep for whatever reason last night. I wasnt nervous or anything i just was having a hard time. Anyways, we got there and warmed up and everything and i was feeling good about it. I was super excited to go. I hung with haley/was pretty close to her for about 2.5 miles and was feeling great and then i hit a wall and everything was spinning and i was having the hardest/weirdest time running. I slowed down so hard so i could at least run and by the end i was barely running. it was so weird. i ran a 26:36 which was over an entire minute slower than last year and there is no way in heck that i got that much slower. 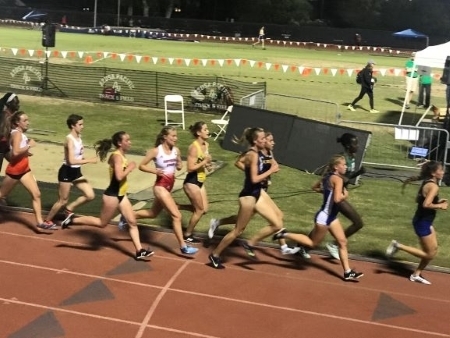 Im so frusterated becuase i have been doing well in workouts and runs and the progression run was good, and to get basically dead last in the road race is just really annoying, but im not going to dwell on it and im going to kill it at UVU next week and prove to everyone, including myself, that i deserve to be here running. Im so excited for the season. our team is seriously so good, and im excited to see what everyone ends up doing. So on our run coach split us up into 2 groups and he put me in the slower one and I was so frustrated. But I talked to him and he just wanted me to take the 50% easy so the workout is good tomorrow. It was the slowest run I’ve done in quite a while and by the end everyone had fizzled out and gone back but me and yolidan. 10 strides after. Yayayayay!!! So we split into morning and afternoon groups and for whatever reason I wasnt on either group but coach let me go with the fast group. We did 4x2k’s with one minute rest. From the beginning I told myself I was just gonna gonthe slow end and maintain the pace with Brighton. The range was 7:15-8:00. I hit 7:28,7:42, 7:41, 7:37. Im seriously so happy with it. It was the first XC interval workout I have finished in college!!! And I was in the range and on the last one I was passing ppl that were ahead of me the whole time. AND I RAN GOOD IN THE WORKOUT SO NOW I GET TO RACE AT UVU!!! 6 miles this morning. its amazing how quick you can go from feeling good to feeling not so good lol. yesterday was the best run ever and today i was dying a little. me morgan haley alison met up to run. 8x30 second pickups with 90 seconds rest in the middle. it was hard cuz we did it up canyon, then a few laps on the track afterwards. it was overall good, gonna shake out a few more in a little while. 3 miles warm, strides, k at race pace, 3 starts, 2 mile cool. excited to race tomorrow!